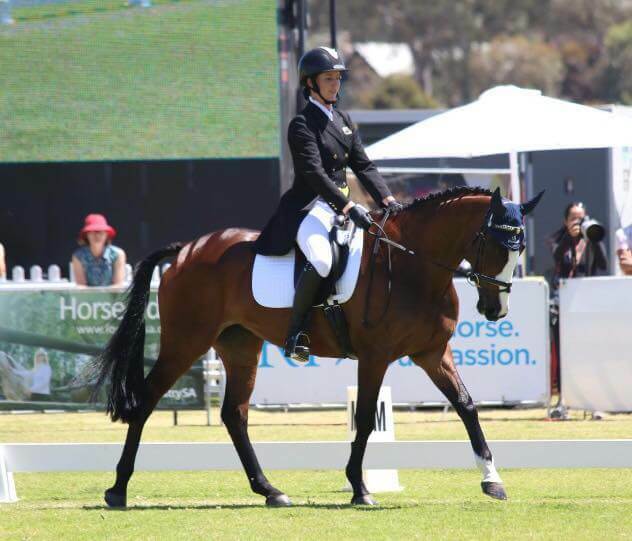 Jess Woods and Woods and Just de Manzana at the Australian International 3 Day Event in Adelaide. Local riders Jess Woods and Bundy Philpott competed in the Australian International 3 Day Event in Adelaide over last weekend, the Southern Hemisphere’s only 4* competition which was won last year by Matangi Olympian Clarke Johnstone and Balmoral Sensation. ESNZ high performance development coach Jock Paget said he was incredibly proud of all of the Kiwi riders who took part, with plenty to say about Jess Woods and Just de Manzana, owned by Simon Tainish. “She and the horse are a great combination and they’ll be exciting to watch in the future,” said Paget. It was a challenging cross-country day for the Kiwis on Saturday. Cambridge rider Bundy Philpott, aboard her own horse Tresca, was eliminated along with Kiwi rider Emily Cammock on Shaw Lee. Philpott was undoubtedly riding the round of the day until she parted company with her horse three from home. “I am gutted,” she said. “Everything worked so so well but I got the third last fence wrong and paid a big price.” Both horse and rider were fine after their tumble. Philpott has previously competed at 4* level but this was a debut run for her horse Tresca NZPH, who won the CCI3* at Puhinui in 2017 and was fourth in the CCI3* at the national three-day champs at Taupo this year.